Home seekers seemed to have turned wary and were in a "look but don't buy" mood, resulting in slower take up rates at most new projects last week. The is according to reports in the ST/BT today. Developers Hoi Hup Sunway sold almost 90 units at the soft launch for Vacanza @East at Lengkong Tujoh last Tuesday but only about 20 sales have been registered since, even though the showflat was crowded over the weekend. 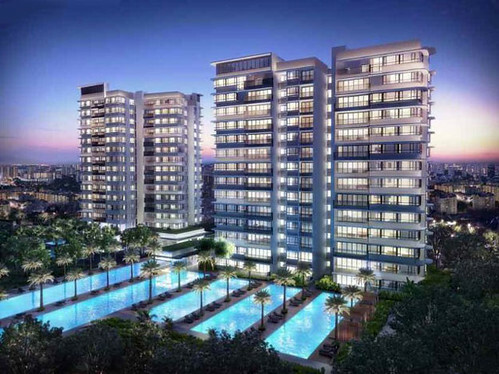 This has taken total sales in the project to 110 units of the 141 units released. The freehold project has 473 units in all. City Developments' 642-unit NV Residences in Pasir Ris, on the market since Aug 30, has sold 358 out of the 400 units released, with 23 sales made last week. The 99-year leasehold project sold 250 units within the first week of its preview about a month ago. There were about 5 sales at high-end Twin Peaks at Leonie Hill Road over the weekend, with more than half of the 70 units released sold since its launch two weeks ago. The 99-year leasehold project, developed by OUE, has a total of 462 units. No Comment to " Sales update from last week: Slower sales seen at most projects... "